Bear had no way to survive. 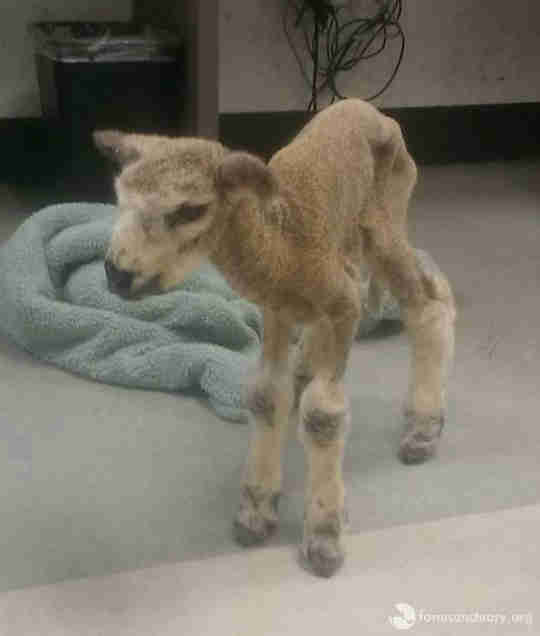 She was barely 2 weeks old and had been left in a barn without food or water. And she was all alone. Luckily a Good Samaritan found her and brought her to Los Angeles Animal Services, which contacted Alicia Pell - then a volunteer with Farm Sanctuary but currently its placement manager. 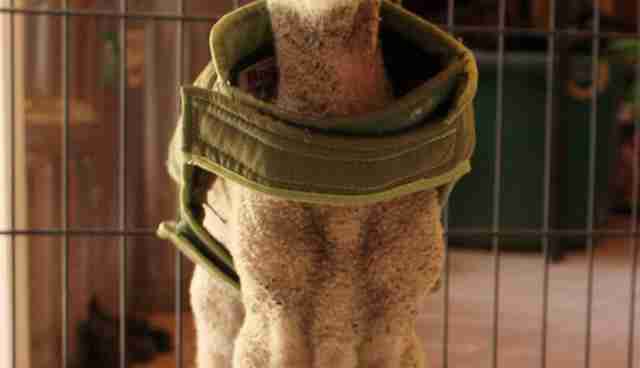 Pell knew the lamb needed her help right away, so she reached out to get permission to do so. "Within minutes we had approval to pick her up and take her," Pell told The Dodo. "So I was on the road within five minutes." But things seemed critical. "En route to the vet, Alicia worried that Bear was going to pass away," Farm Sanctuary wrote on its website. "The young lamb lay listless and nonresponsive in her lap with a seemingly thready pulse." 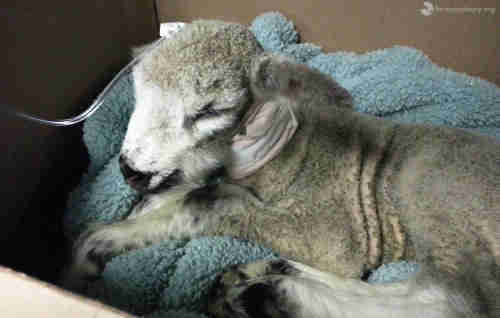 Fortunately Bear pulled through, and just a couple days after being in the hospital she was off to begin a new life as the very first lamb at Farm Sanctuary's Acton, California, shelter. "She was accordingly treated like royalty," Farm Sanctuary wrote. The attention Bear received from staff members was a sharp departure from her first lonely weeks in life, but she took to it like a pro. "She spent several months living in the shelter office, where she was completely spoiled and pampered," Farm Sanctuary said. 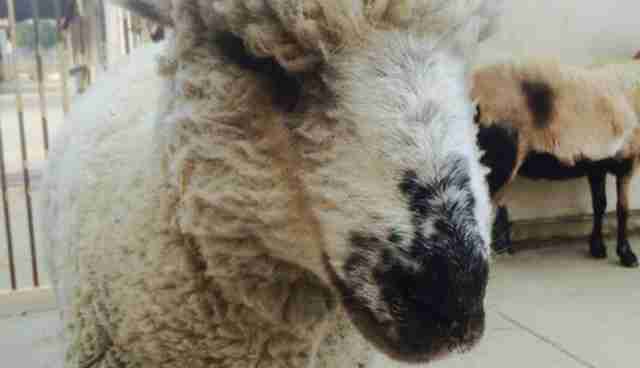 When she was strong enough, Bear was finally introduced to the main sheep and goat herd. But things didn't go as planned, and the herd shunned her. She was given the cold shoulder when she tried to make friends with the others. After a while, Bear stopped trying. The staff knew she had been abandoned early in life, and was heartbroken because she was being rejected once again. But Bear just kept to herself along the fence line. 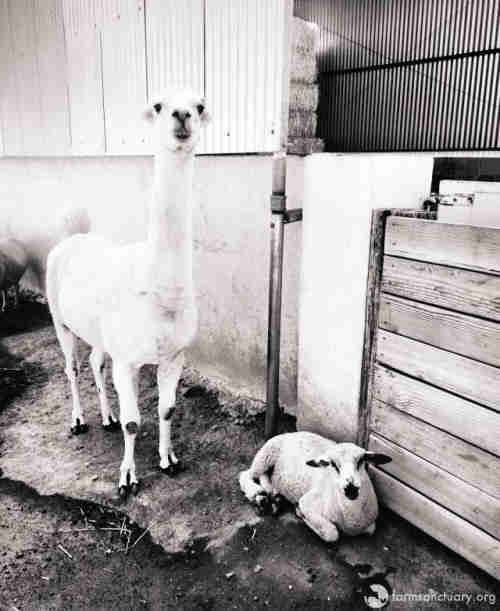 She received lots of human love, but finally found a friend in a llama named Yoda. He became something of a mentor to Bear and helped her in her early days so that she was not totally alone - he knew what being rejected was all about as it initially happened to him when he first arrived at the sanctuary. "Every day, Yoda would walk Bear up the hill, where they would graze together away from the rest of the herd," Farm Sanctuary said. 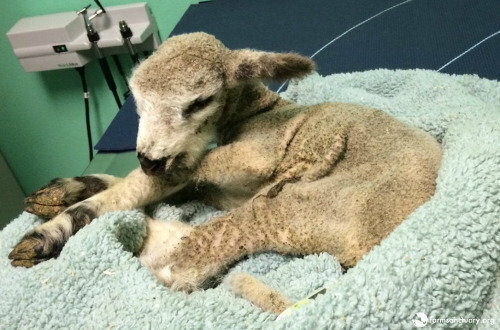 It wasn't until a sheep named Carlee was rescued that things took a real turn for the better. 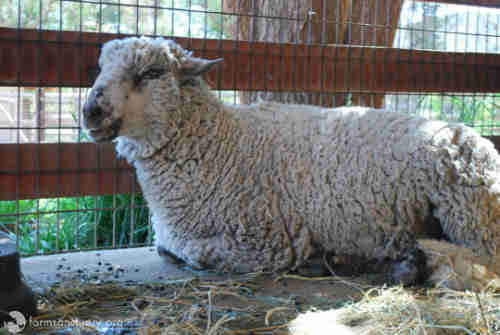 Brought to the sanctuary in October 2014, the adult Katahdin sheep had lived in the backyard of a family's home in Los Angeles, California. She was given as a gift to the family's daughter, but the family soon realized Carlee was not in a proper home and contacted Farm Sanctuary. Upon Carlee's arrival, she and Bear became fast friends. 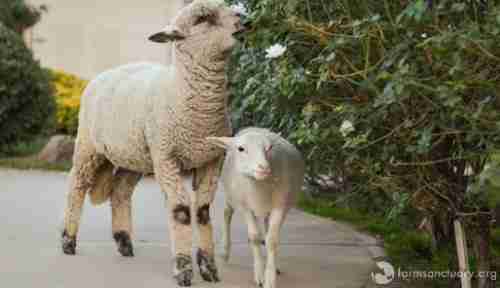 Carlee was quickly accepted by the other sheep, and helped introduce Bear to them. Bear has more friends these days, though she's still a bit independent. "Although she's been an accepted member of the flock she still reverts back to her loner times and really values her alone time," Pell said. "She just needs a little bit of space sometimes." "She's evolving," Pell added. "She is still coming out of her shell." "Mostly she really does love to be loved by all of us," Pell explained. "When in the mood to be pet, she paws at you to continue petting her if you stop." Bear started out life alone and afraid, but now she has a full circle of friends and caregivers who love her. "She's pretty great on tour days, and meeting and greeting guests," Pell said. "She is a wonderful ambassador for her species." You can help animals just like Bear by making a donation to Farm Sanctuary here.